Computer printout index tabs make computer reports easier to read. 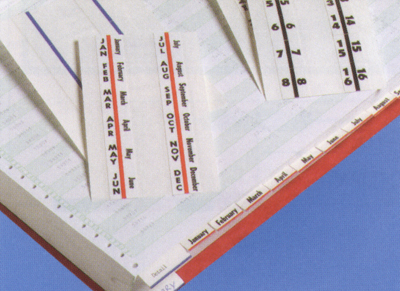 Tabs have transparent gripping edges that attach to both sides of the page. Months, red edges, 1" wide, 12 tabs per package. For more information on this product call 800-845-9010 or email request@ancom-filing.com.